National Institute of Allergy and Infectious Diseases (NIAID), National Institutes of Health, Bethesda, MD. Project: Dr. Kuang’s project entitled “Effects of Eosinophil Depletion on Pathogenic Lymphocytes in Hyper-eosinophilic Syndrome (HES)/EGID Overlap” will utilize multi-parametric flow cytometry and gene expression sequencing on peripheral blood and gut tissue to determine if eosinophils exert a negative regulatory role on pathogenic lymphocytes. Patient Impact: This project will provide a better understanding of the relationship between eosinophils and lymphocytes in HES/EGID with the goal of illuminating new research avenues, bringing us closer to improved therapeutics for patients suffering from this chronic disease. Project: Dr. Wechsler’s project entitled “Defining Mast Cell Phenotype, Activation Pathways and Cellular Interactions that Drive Chronic Symptoms and Endoscopic Changes in Eosinophilic Esophagitis” will seek to understand the role of esophageal mast cell activation in EoE symptoms, along with endoscopic abnormalities in EoE and the effect of treatment. 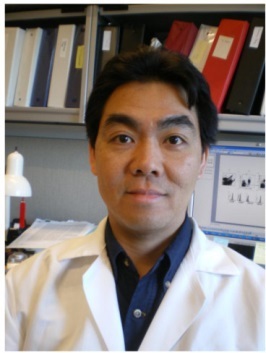 His work will analyze novel pathways in individual mast cells from a biopsy, to determine factors that drive persistent endoscopic abnormalities. He will also define interactions of mast cells and their mediators with the structural epithelial cell, relevant to what is seen in the biopsy. Patient Impact: This project will help uncover fundamental aspects of mucosal mast cells signaling and cellular interactions critical to driving clinical phenotype in EoE, which could in turn contribute to novel therapies to improve treatment response. Project: Dr. Chehade’s project entitled “Impact of Proton Pump Inhibitors on the Esophageal Transcriptome in Eosinophilic Esophagitis Subtypes” will research the effects of proton pump inhibitor treatment on the EoE transcriptome in an attempt to identify EoE from PPI-responsive esophageal eosinophilia. Addressing this important issue may provide new insights into the how EoE-associated genes are suppressed with PPI therapy. Patient Impact: Identification of transcriptome markers of PPI responsiveness would have a high impact in the clinical setting. Project: Dr. Garber’s project entitled “Determinants of Integrin Signaling in Eosinophilic Esophagitis” seeks to better understand the important questions: How do eosinophils start to migrate from the blood to the esophagus? How do protein receptors on the eosinophils interact with the receptors on the cells of the esophagus, to allow them to get into the esophagus, become active, and cause inflammation? Dr. Garber’s team will study whether MAdCAM-1 (mucosal addressin cell adhesion molecule-1), a protein that has been found in the microvasculature (tiny vessels) of the esophagus in active EoE, promotes recruitment of circulating eosinophils via the α4β7 protein found on eosinophils. Dr. Garber’s team will also study if CD11 protein on eosinophils interact with the esophageal protein periostin to activate and hold on to eosinophils in the esophagus. Patient Impact: This research would help us better understand the mechanisms of eosinophil recruitment into the esophagus, which may then lead to development of treatments that stop the migration of eosinophils into the esophagus. Project: Dr. Kobernick’s project entitled “Detection of eosinophilic inflammation in patients with Eosinophilic Esophagitis by oral administration of Tc-99m Heparin” focuses on finding a noninvasive way to detect and monitor eosinophilic esophagitis (EoE). Dr. Kobernick’s team has developed a technique where small amounts of a radioactively labeled substance called heparin is swallowed, and binds to the proteins released by eosinophils in the esophagus. The bound heparin is detected by a camera outside the body—in preliminary data, EoE, but not reflux disease, is associated with this heparin binding in the esophagus and is picked up by the camera. Dr. Kobernick’s team is focusing on finding the lowest amount of radioactivity that can make this test as safe as possible to use clinically while being sensitive enough to pick up active EoE disease. Patient Impact: This research shows great promise in the development of a noninvasive method for doctors to examine tissue inflammation caused by eosinophil-associated diseases and monitoring EoE without endoscopy and biopsy. Project: Stevens’ project entitled “The Role of Eosinophils in Aspirin Exacerbated Respiratory Disease Pathogenesis” is a novel and translational study that will help us to better understand what activates eosinophils and recruits them into tissues while also shedding light on their role in fibrin deposition that results in scarring of tissues. Aspirin Exacerbated Respiratory Disease (AERD) is used as a model for studying these processes further because of a very robust eosinophil response in this disease state. Patient Impact: Findings from this study are expected to improve our understanding of eosinophil pathobiology and may help lead to the development of new diagnostic and therapeutic strategies for AERD and other eosinophil-associated disorders. Project: Dr. Kottyan’s project entitled “Mechanisms of Genetic Risk at 2p23 in Eosinophilic Esophagitis” looks to provide a greater understanding of the biochemical mechanisms driving increased risk of EoE in the context of CAPN14 expression and function. Patient Impact: This project seeks to make real progress towards a global understanding of the functional genomic, biochemical, inflammatory, and interactive mechanisms that increase the risk of EoE. Uncovering the fundamental mechanisms of EoE pathogenesis could have broad scientific and clinical implications. Project: Dr. Cianferoni’s project entitled “Genotype Phenotype Correlation in Eosinophilic Esophagitis” will help us better understand genetic variations in the development of EoE, and the important role that thymic stromal lymphopoietin (TSLP), a protein that promotes allergic inflammation, plays in the process. Patient Impact: This research could potentially lead to a better understanding of the relationship between TSLP and two other regulator proteins (EMSY and CAPN14). APFED is proud to support the following HOPE Pilot Research Grant in 2015. Congratulations to Dr. Ting Wen for his grant-winning proposal. We look forward to his valuable contribution to eosinophilic disease research. Project: Dr. Wen’s project entitled “Defining Esophageal Lymphocyte Phenotype and Function in Eosinophilic Esophagitis” seeks to provide a greater understanding of the heterogeneity of human intraepithelial lymphocytes (IELs) and their functionality in EoE. Patient Impact: The knowledge gained through this research could advance our understanding of the mechanisms of the enigmatic human IEL population, as well as EoE pathogenesis. Patient Impact: A better understand the role of eosinophils and their products, and how these play a part in EoE could lead to new treatments for the disease. Dr. Masterson’s research will provide a greater understanding of the signaling pathway of certain cells involved with EoE as they relate to inflammation caused by oxygen deficiency in cells and tissue. 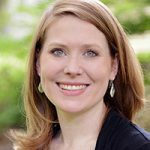 Her research will help determine whether or not this signaling mediates a critical link between conditions that cause inflammation and how the mucosal tissue heals after it is damaged by EoE. Patient Impact: Understanding the molecular mechanisms of HIF signaling pathway in EoE may lead to new ways to treat the disease. Scarring, or fibrosis, can cause permanent damage to the esophagus, impairing swallowing. Dr. Aceves will explore factors leading to esophageal damage in children with eosinophilic esophagitis, and investigate the effect of a medication on process. Patient Impact:Developing ways to detect fibrosis, and understanding the causes of fibrosis, will enable investigators to better study this disease process and develop new treatments. APFED is proud to support two HOPE Pilot research grants in 2013. Dr. Praveen Akuthota and Dr. Yui-Hsi Wang are the recipients of the $50,000 awards. Please join us in congratulating them for their grant-winning proposals. We look forward to their many valuable contributions to eosinophil research. 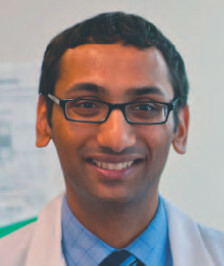 Dr. Akuthota’s research will provide a greater understanding of eotxain-3 on eosinophils in a variety of eosinophil associated diseases including the Churg Strauss syndrome, which can affect the lungs, sinuses and other organs. Eotaxin-3 is thought to regulate eosinophil trafficking to the airways and gastrointestinal tract. His research will lead to better mechanistic understanding of the role of this signaling molecule in eosinophil associated diseases. Patient Impact: Understanding the role of eotaxin-3 in eosinophil associated diseases will potentially lead to new treatments. 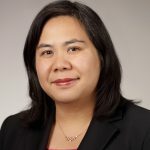 Dr. Wang’s research on eosinophil associated gastrointestinal disorders will focus on understanding the role of cytokines, specifically IL 25, in small intestinal eosinophil infiltration. Cytokines, a part of the immune system, play a role in ‘signaling’ or calling the eosinophils to accumulate in the GI tract. Patient Impact: Understanding the role of the immune system in eosinophil associated gastrointestinal disorders, such as eosinophilic gastroenteritis, may lead to development of new immune-based treatments. Dr. Wang’s research proposal is entitled “Esophageal Epithelial and Mesenchymal Cross-Talk in Eosinophilic Esophagitis”. Clinically, subepithelial fibrosis is an important feature of EoE, with mechanisms of this process poorly understood. Dr. Wang’s preliminary data suggest that fibroblasts can sense epithelial damage, and may prime profibrotic responses to epithelial food antigen exposure. Her research team will characterize epithelial-fibroblast interactions using culture systems in which the two cell types can be co-cultured within distances of microns. They will also test functional consequences of specific stimuli such as epithelial damage, acid/bile, and food antigens upon fibrogenesis using cell culture models using primary human esophageal epithelial cell lines. Dr. Wang’s research would greatly help elucidate the mechanisms of subepithelial fibrosis, and hopefully lead to therapies that would help prevent the clinical problems of dysphagia, esophageal strictures, and food impactions. Drs. Kagalwalla’s, Wershil’s, and Ackerman’s research proposal seeks to “identify a panel of non-invasive biomarkers in the blood and/or urine of subjects with eosinophilic esophagitis (EoE) for the diagnosis and assessment of remission, recurrence or exacerbation of disease, as well as novel markers for responses to therapeutic intervention.” Their collaborative plan includes correlation of levels of inflammatory biomarkers (including mast cell, eosinophil, chemokine, interleukin, and growth factor biomarkers) from samples obtained from blood, urine, esophageal biopsies, and intraluminal esophageal string test. They propose to validate the non-invasive protein biomarker panel by measuring mRNA expression in esophageal biopsy samples. This research has the potential to fulfill the extremely important clinical need of finding a noninvasive and readily accessible method of assessing for the presence and activity of EoE, hopefully reducing the need for diagnostic endoscopies and biopsies in managing the disease. Dr. Spencer’s proposal focuses on cytokine production by murine GI eosinophils, and tests the ability of GI eosinophils to behave as antigen-presenting cells. Per Dr. Spencer, her “work has probes the preformed cytokine potential of human blood eosinophils, the mechanisms by which eosinophils elaborate intracellular cytokines from preformed granular stores, and most recently, the role(s) of autocrine Notch signaling in eosinophil activation. This work has contributed to the growing body of data supporting nontraditional roles for eosinophils regulating both the immune microenvironment and tissue homeostasis”. 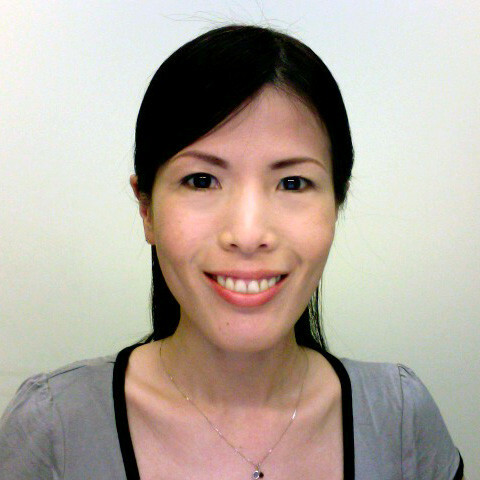 Her intent is to “apply our broad expertise in the basic immunobiology of eosinophils to outstanding mechanistic questions in eosinophilic gastrointestinal diseases, thus establishing a new research avenue in the laboratory.” Her goals are to help to mechanistically define epidemiological correlations between allergic diseases (i.e. asthma) and GI disorders and suggest prophylactic approaches for early detection and treatment of patients. Dr. Spencer plans to generate data from the pilot grant to apply for additional funding. Dr. Peterson’s proposal seeks to use an esophageal brush to detect MBP-1 in the esophagus “To determine the relationship between MBP-1 and fluorescence intensity and to determine the surface density of MBP-1 on cytology brush bristles as a function of the number of brushings colorimetric assays provide a rapid non-invasive approach to diagnose and monitor a wide variety of eosinophilic disorders.” Dr. Peterson intends to extend her assay to detect eosinophil involvement in eosinophilic gastroenteritis, eosinophilic asthma/Churg-Strauss, allergic sinusitis and eosinophilic cystitis. Her approach provides a less invasive path to monitor progress of each disease and response to therapy. Dr. Peterson plans to use data generated from this to obtain additional NIH funding to further develop the assay as a minimally invasive test to evaluate esophageal eosinophilia that can be performed at the bed side. Drs. Friedman and Spergel’s project involves the measurement of microRNAs (miRNA) in patients’ serum obtained via blood sample. miRNAs are short ribonucleic acid molecules that are important in regulating gene transcription and translation. Dr. Friedman’s research in Crohn’s disease has already shown distinct miRNA patterns in this patient population, and his proposed research aims to identify distinct miRNA expression patterns in patients with biopsy proven eosinophilic esophagitis (EoE) compared to patients with normal esophagus. His team hopes to correlate the miRNA expression to the severity of EoE on esophageal biopsy, thereby providing a noninvasive method of diagnosing and monitoring EoE disease activity through a simple blood test. Drs. Ackerman and Furuta are collaborating on a project involving the esophageal string test (EST). The EST involves swallowing a small capsule with an attached string, with the process being minimally invasive compared to endoscopy and biopsy. The capsule can be swallowed with water or some pudding, while holding onto its attached string. The capsule breaks off in the intestine, and the end of the string dwells in the duodenum for a given period of time; then the string is removed and sent for analysis. The string directly samples esophageal secretions that contain potential EoE biomarkers from inflammatory cells. Their preliminary data have shown a nice correlation of EST sampling to EoE disease activity as determined by tissue biopsy. Funding for their project will help the researchers validate and improve the diagnostic accuracy of the EST and validate its use to monitor disease activity with treatment. 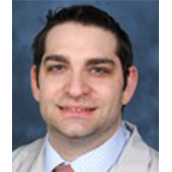 Dr. Ariel Munitz will work in conjunction with Dr. Marc Rothenberg’s group in Cincinnati. His work focuses on eosinophil research and the role of inhibitory receptors in eosinophils. Dr. Munitz research career goals are aimed at defining molecular pathways that regulate eosinophil activity in health and disease. HOPE Grants are funded by donations to the HOPE on the Horizon Fund and by fundraisers hosted by families and friends of those living with eosinophil associated diseases. 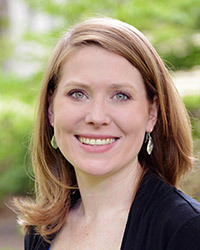 Carine Blanchard PhD Dr. Blanchard is a Postdoctoral fellow and research instructor at Cincinnati Children’s Hospital and Medical Center in the Division of Allergy and Immunology, focusing on the molecular pathogenesis of Eosinophilic Esophagitis and food allergy related disorders. 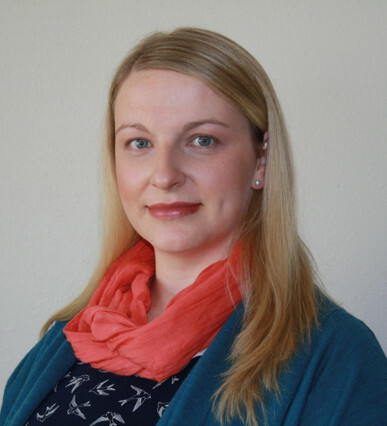 Dr Blanchard writes: “My research will focus on mechanisms that induce eosinophilic disease, with the goal of ameliorating the pain and distress of eosinophilic esophagitis. If we truly uncover a major role for Uroplakin 1B in EE diagnosis, then this would lead to further studies aimed at trying to understand the fundamental basis of the disease pathology and pathogenesis. 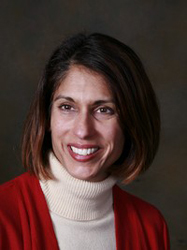 Seema Aceves MD, PhD for her research “Tissue remodeling in pediatric eosinophilic esophagitis: Influence on prognosis and response to corticosteroid therapy”. 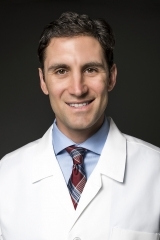 Dr. Aceves is an adjunct assistant professor of pediatrics at the University of California San Diego. Letters of Appreciation – Researchers express gratitude for grants received through APFED’s Hope on the Horizon Research Fund.